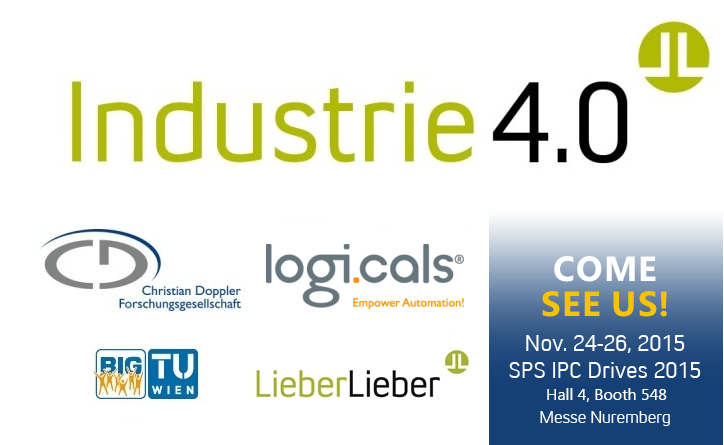 From 14th to 15th of October 2015 the AutomationML Plugfest was held at Fraunhofer IOSB, Karlsruhe (see article at official AutomationML website). An interactive presentation on “AutomationML Models (in EMF and EA) for Modelers and Software Developers” was held by Emanuel Mätzler. Slides can be found here. 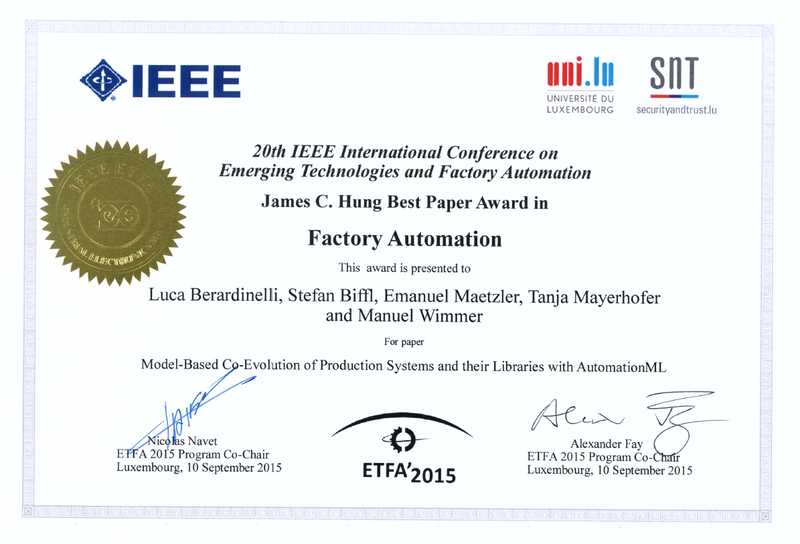 We are happy to announce, that our Paper “Model-Based Co-Evolution of Production Systems and their Libraries with AutomationML” has received the Best Paper Award in Factory Automation at the ETFA conference. 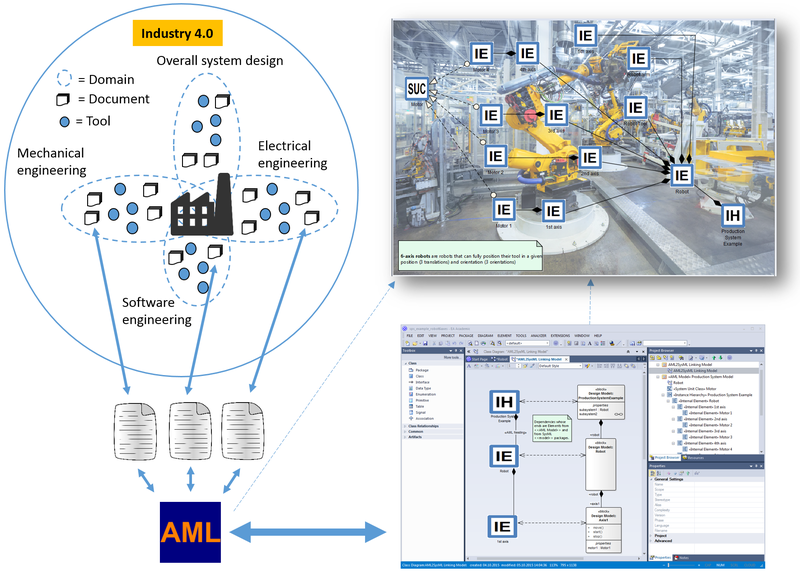 We proudly announce our membership with AutomationML e.V.